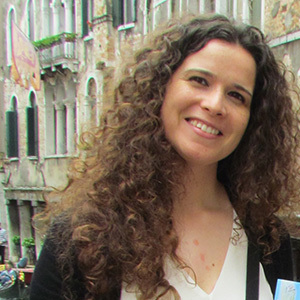 Elisabete Fernandes is a Staff Researcher in the Nanodevices Group at the Nanoelectronics Engineering Department. Her research interests include the development of monoplex and multiplex assay formats, surfaces functionalization, the applicability of magnetoresistive platforms to the multiplex detection of medical biomarkers, and on the clinical validation protocols using biosensors. Elisabete holds a PhD degree in Chemical and Biological Engineering from the University of Minho, Portugal. She started to be involved in the Biosensing field during her PhD targeted on the detection of Salmonella using a Phage-based Biosensor. During this time, the multidisciplinary work was developed between University of Minho and the University of Auburn (USA), the Katholieke Universiteit Leuven (Belgium) and the International Iberian Nanotechnology Laboratory – INL. After the PhD, she obtained an ITN Marie Curie Fellowship under the European project: PROSENSE “Cancer Diagnosis: Parallel Sensing of Prostate Cancer Biomarkers”. As a post-doctoral researcher she worked at École Polytechnique Fédérale de Lausanne (EPFL) in the development of a Microfluidic device for blood plasma separation, and at Xeptagen S.p.A in the development of a pre-commercial portable medical analysis system for early cancer detection. P.P.Freitas, F.A.Cardoso, V.Martins, E.Fernandes, T.Sobrino, J.Castillo, A.Chicharo, M.Martins, C. Costa, R.Lopez, T.S.Dias, J.Germano, S.Cardoso, M.S.Piedade. Chapter 9, page 165-196 in: Nanomagnetism: Applications and Perspectives, First Edition. Solène Cherré, Elisabete Fernandes, José Germano, Tomás Dias, Susana Cardoso,Moisés S. Piedade, Noemi Rozlosnik, Marta I. Oliveira and Paulo P. Freitas. Fernandes E., Martins V., Nóbrega C., Carvalho C., Cardoso F., Cardoso S., Dias J., Deng D., Kluskens L., Freitas P., Azeredo J.
Santos, S., Fernandes, E.; Carvalho, C.M., Sillankorva, S.; Krylov, V.N., Pleteneva, E.A. ; Shaburova, O.V. ; Nicolau, A.; Ferreira, E.C. ; Azeredo, J.
Carvalho, C., Susano, M., Fernandes, E., Santos, S., Gannon, B., Nicolau, A., Gibbs, P., Teixeira, P., Azeredo, J. Letters in Applied Microbiology 50, 192–197 (2009). doi:10.1111/j.1472-765X.2009.02774.x.